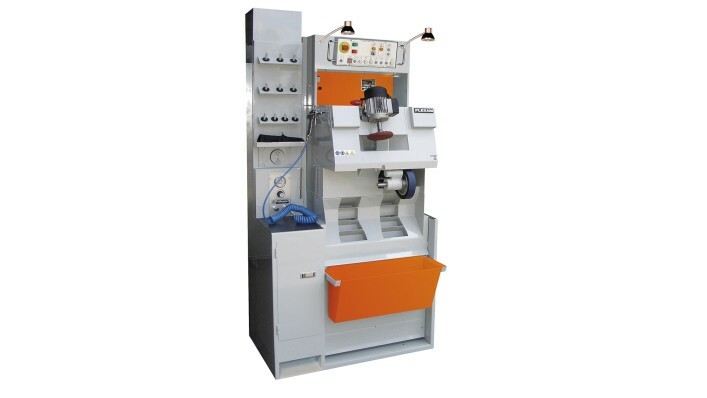 The machines are ideal for processing insoles and for milling supplements in series. 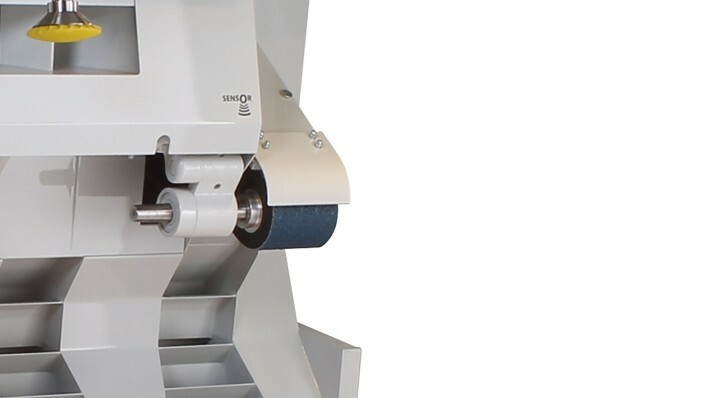 They feature a sanding belt with a small diameter for processing small curvatures. 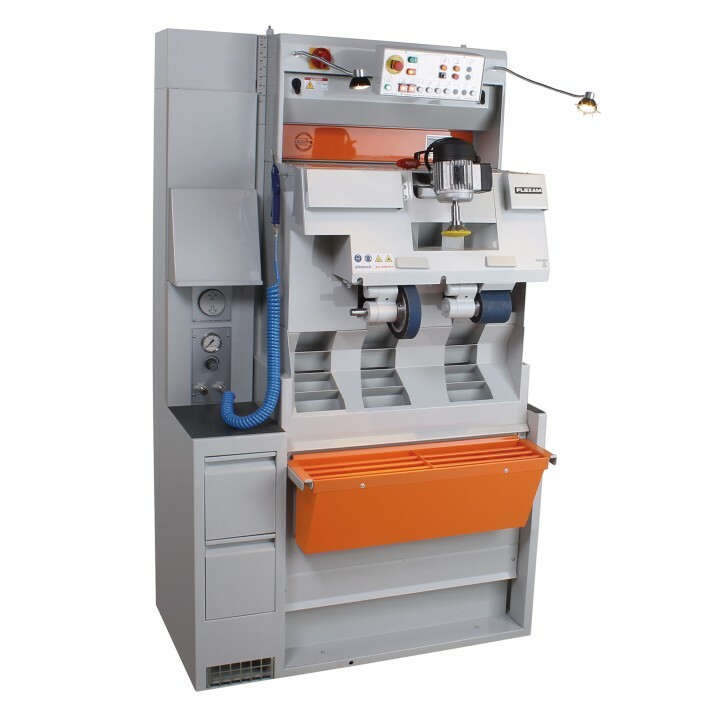 You’ll also benefit from the high-quality fittings of the machine. 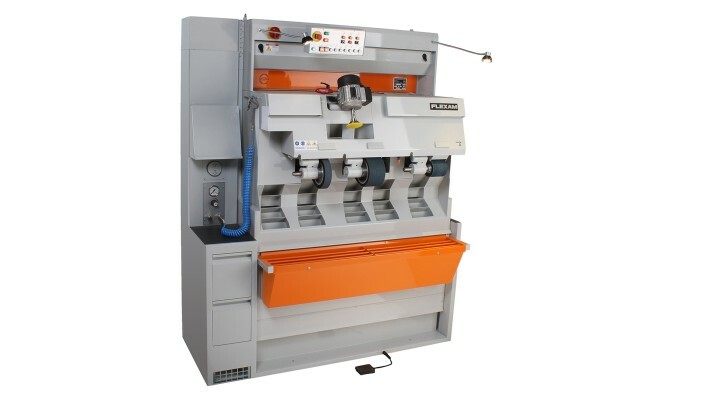 The standard scope of delivery includes LED lighting, floor extraction, automatic height adjustment, moveable control panel, ADDS air curtain between operator and extraction, sensor-controlled extraction, individually adjustable sanding belt tension, spacious, removable collection container, 2 compressed air connections, compressed air gun, pressure gauge, pressure reducer, internal cleaning of the engine compartment, tool storage, cabinet with two drawers, paper shelf and many other features which make your everyday work easier. Above the sanding belt an air flow is created which protects the user form the arrising sanding dust and guides the dust into the suction. 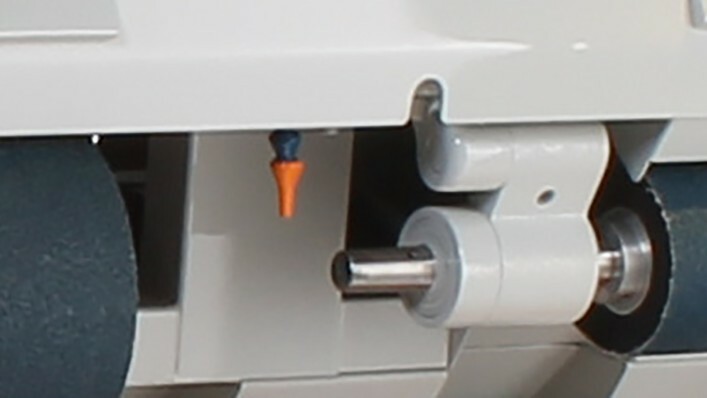 The automatic height adjustment is another feature that makes your work easier. The extraction at the sanding belts and bayonets is controlled by sensors. 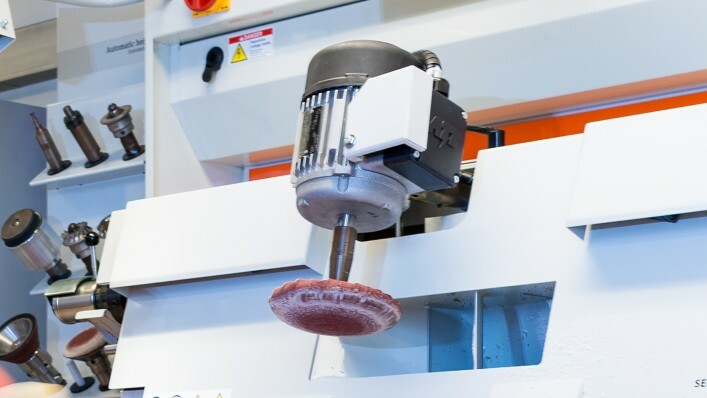 The extraction ports are always only open at the sanding and milling workstations where work is currently being carried out. This means you always have the full extraction capacity you need to collect fine dust. 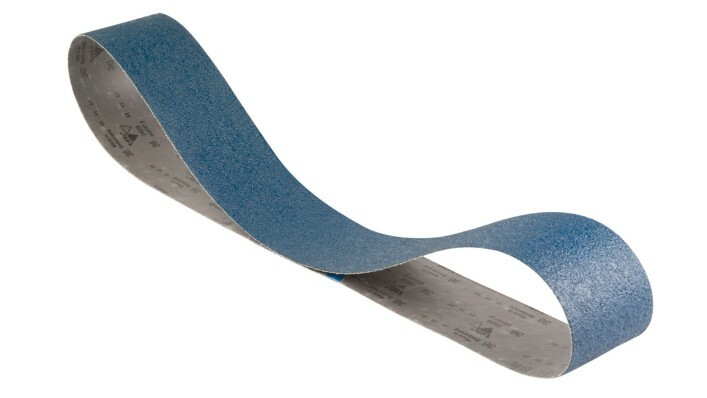 The Flexam FSB 115 is equipped with up to three sanding belts. 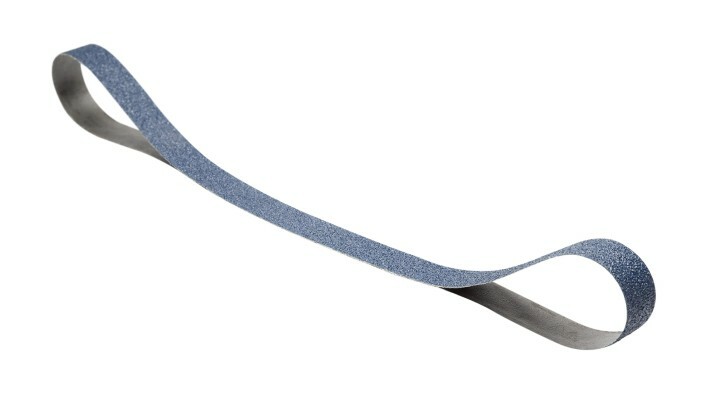 Besides one wide sanding belt (100 mm) the machine is equipped with either a small sanding belt (40 mm) or another wide sanding belt (100 mm). Two LED spotlights provide optimal illumination for your working area. 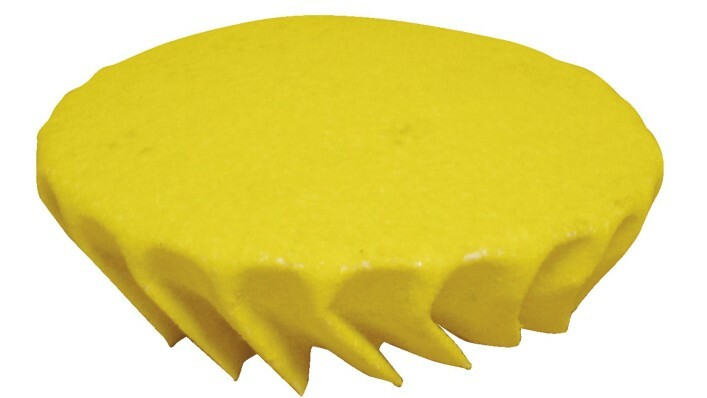 An LED surface spotlight is also available as optional equipment. 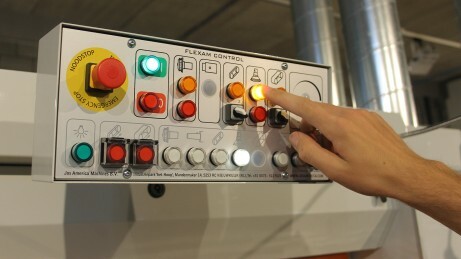 The control panel is clearly designed and is quick and easy to operate thanks to its large, illuminated switches. It is also movable, so you can position it precisely where it is most comfortable for you. 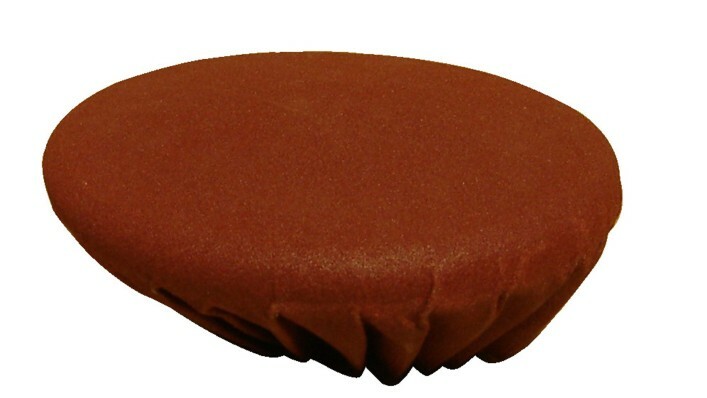 We offer the Flexam Executive in a selection of basic versions. 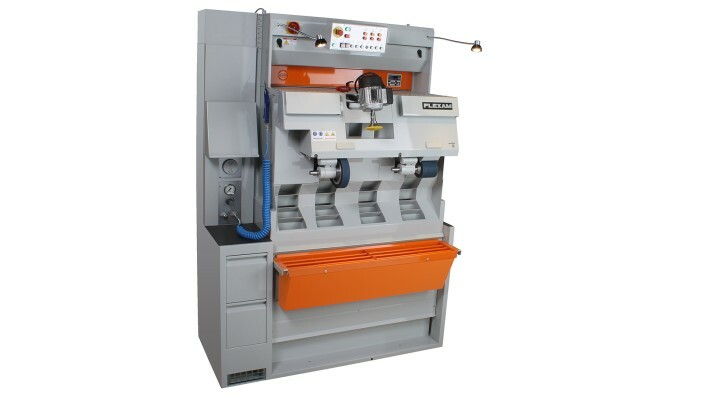 These machines can be equipped with sanding belts, milling cutters, naumkeag, last rollers and Widia rollers. 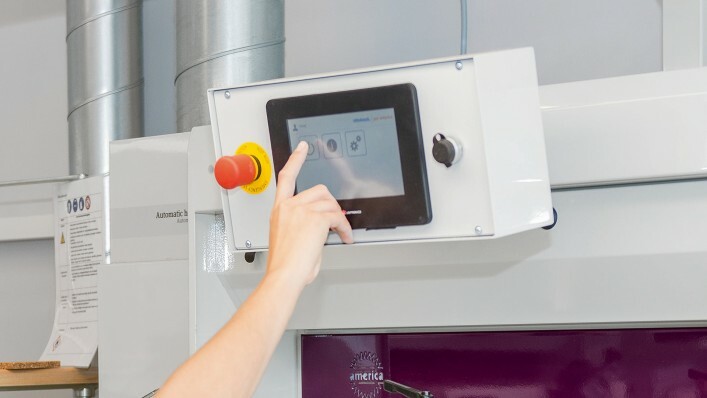 This allows you to choose the precise machine that best fits the services you offer – and to extensively customise it in these three simple steps. 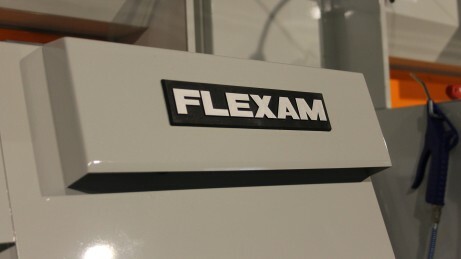 And that’s it – our experienced specialists then fabricate your very own Flexam in our plant in the Netherlands. In the same high quality that Ottobock has always represented. 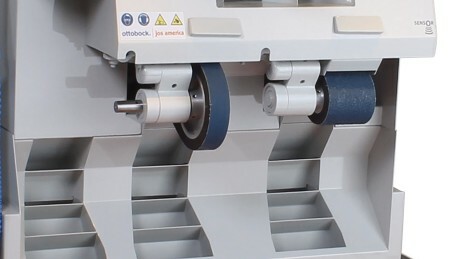 By the way: no matter which of the Flexam Executive versions you choose, it is always connected to a central dust extraction system. 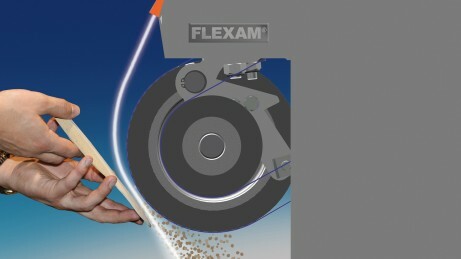 If you prefer a model with integrated dust extraction, we recommend the Flexam Compact. 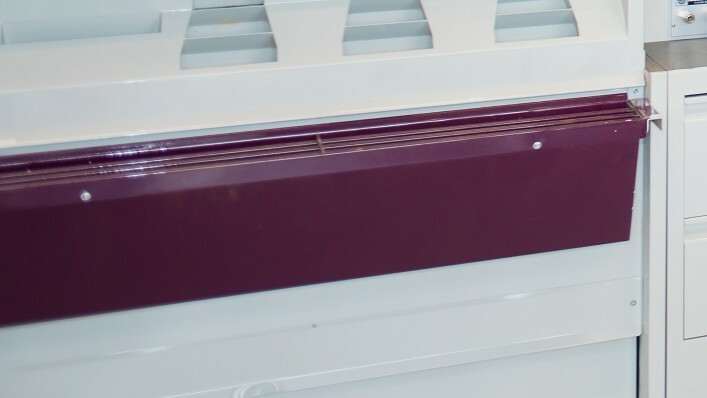 To ensure the Flexam Executive extracts dust perfectly and has a long service life, we plan it individually for you – from the extraction ducts to the right extraction system. 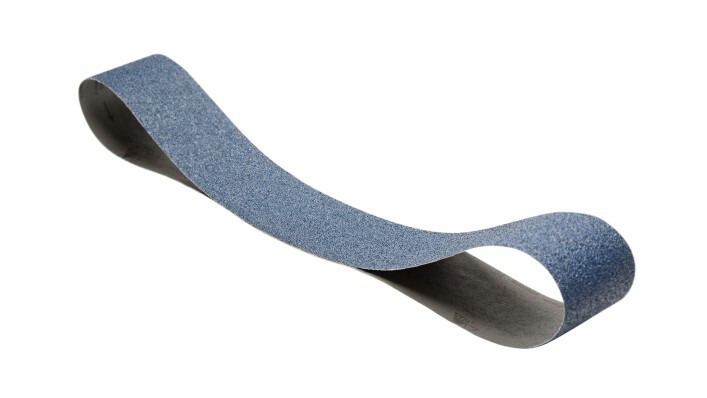 Extra recess on the sanding belt allows more space for sanding lasts and high shoes. Individual control, personal profiles and remote maintenance. Additional LED flood lamp, supplementing the two LED spotlights for optimum illumination of the workstation. 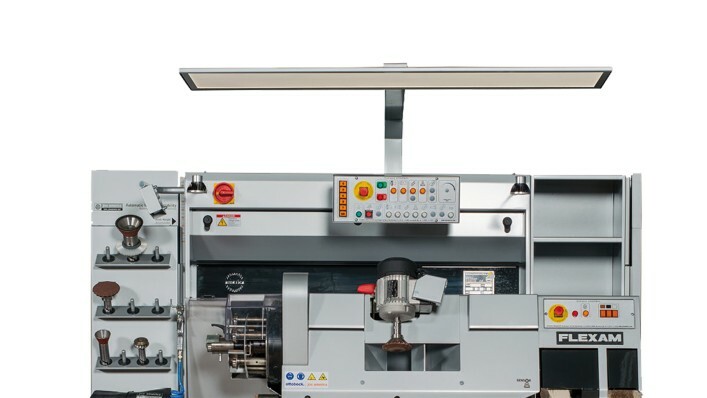 As soon as a workpiece is processed on the naumkeag, dust extraction is activated and only the extraction ports on the naumkeag are opened for full extraction performance. 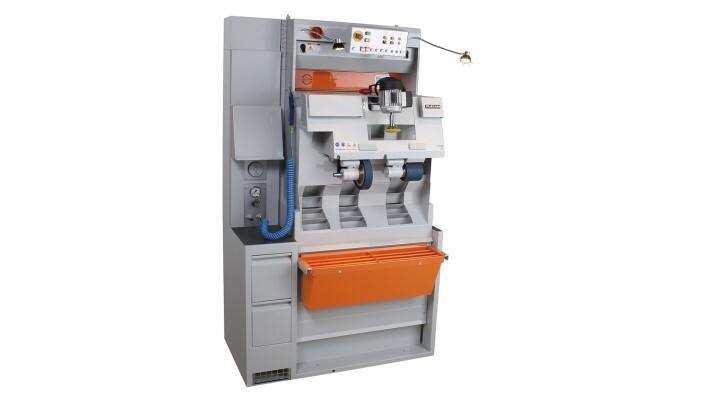 Design your workshop the way you like it – our in-house paint shop produces machines to match your design. Please note that this is only a selection of options and consumables. The entire range can be found in ourcatalogue.